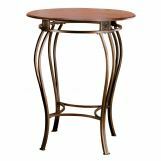 Beautify your decor space with this stylish and graceful Hillsdale Easy Assembly Montello 30" Swivel Bar Stool. 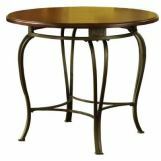 It’s gorgeous and striking design features skillfully interlocked neat circles at the back, intricate complimentary castings and curvaceous legs with a unique shape. 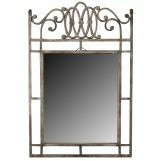 It can instantly transform the look of your elegant interiors. 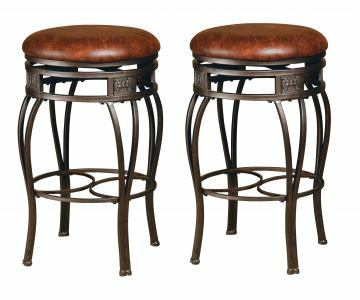 The Hillsdale Easy Assembly Montello 30" Swivel Bar Stool has a strong construction that lends it durability. 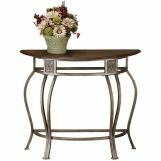 Its lustrous old steel finish with an antique gold overtone adds to its luster and beauty. 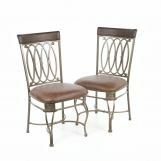 The distressed brown faux leather seat makes it comfortable to sit in and gives it a plush look. Its shapely legs make it stable. 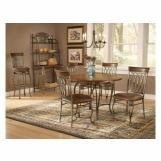 The swivel adds to its durability. 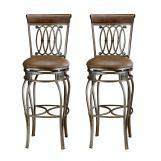 This bar stool is most suitable for residential use and is easy to maintain. Its seat is at perfect height of 30". 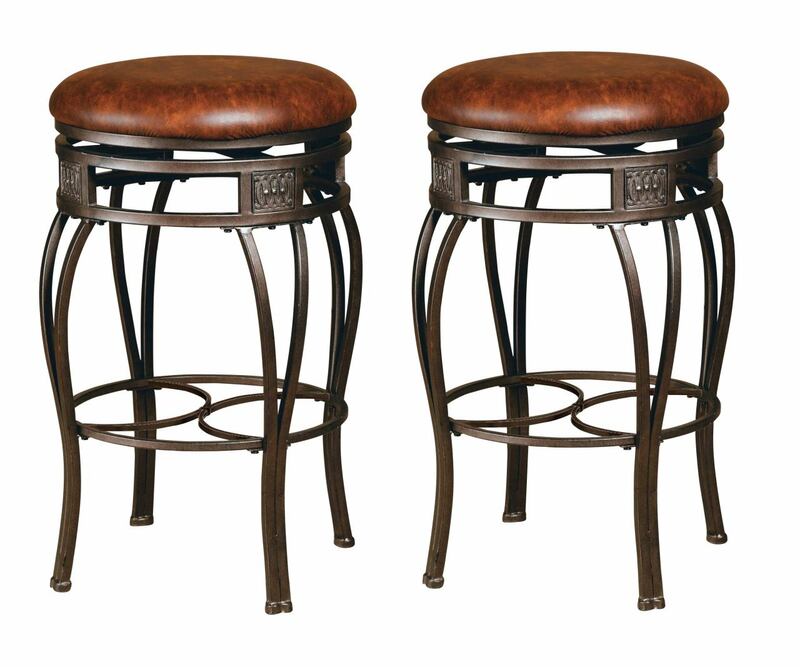 The complete dimensions of the bar stool are 30" height, 18" width and 18" depth. This lovely bar stool can take up a lot of weight. Its impressive design with a sophisticated appeal can beautifully blend in with a traditional or modern decor setting. 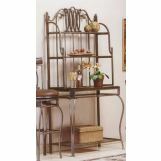 It can become a staple in your decor for many years to come.